Ada’s Technical Books in Seattle has Grandmother Fish in stock, and they’re selling it online. Here is the direct link. Their supply is limited, so order now. Karen and I are happy to be working with a great brick-and-mortar store. 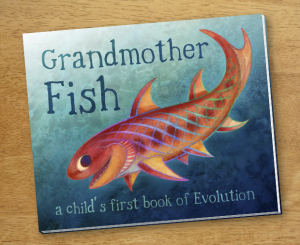 Grandmother Fish is the first book to teach evolution to preschoolers, as recently reviewed on NPR.org. We’re thrilled that our first edition has sold out on Amazon and is now available only at a few lucky stores. Would you like to see your favorite bookstore on this list? We have one carton of Grandmother Fish left. If you know a bookstore that should carry Grandmother Fish, please have them contact me about ordering the last carton (contact form). In addition, a small number of books that we had set aside are no longer spoken for, so we will release them on the Grandmother Fish store before Christmas (store). Join my email list to hear about these books when they are available (mailing list on hold). Amazon has over 100 copies, but as of Oct 30 they’re in transit between fulfillment centers. I’m am shipping them the last of the first edition, except for some cases held back for special purposes. I’m also looking for brick-and-mortar stores that would each like to order a case. If you know a great store that would like to carry the book, have them contact me: jonathan (at) grandmother fish (dot) com. Grandmother Fish is the first book to teach evolution to preschoolers, and you can order it now. 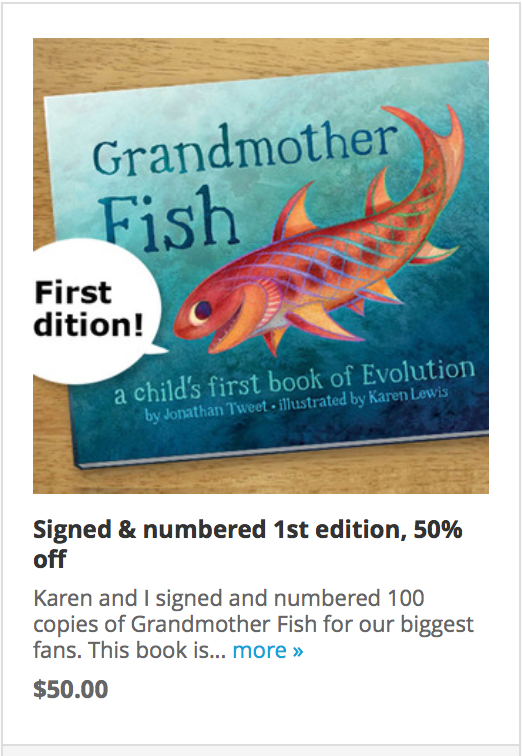 Grandmother Fish is a full-color, 32-page, hardcover book, written by game designer Jonathan Tweet and illustrated by Karen Lewis, a children’s science illustrator. You can see little children reacting to having the book read to them for the first time. 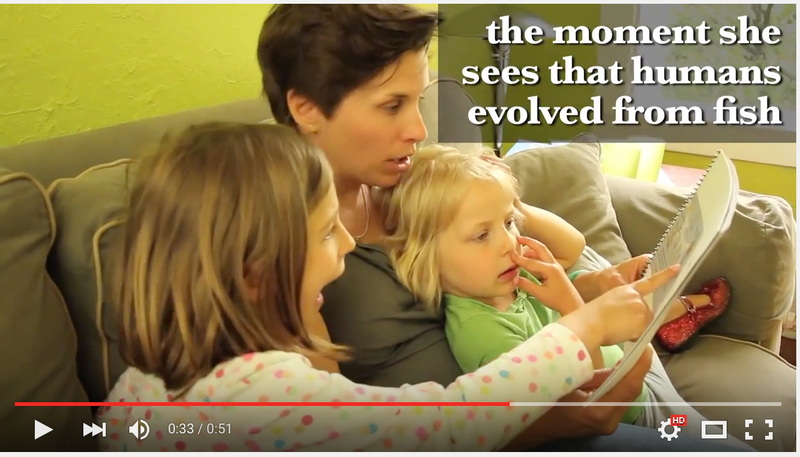 Take a look at this video of three parents reading an early draft of the book to their children. Please keep in touch with us by Liking our page on Facebook. 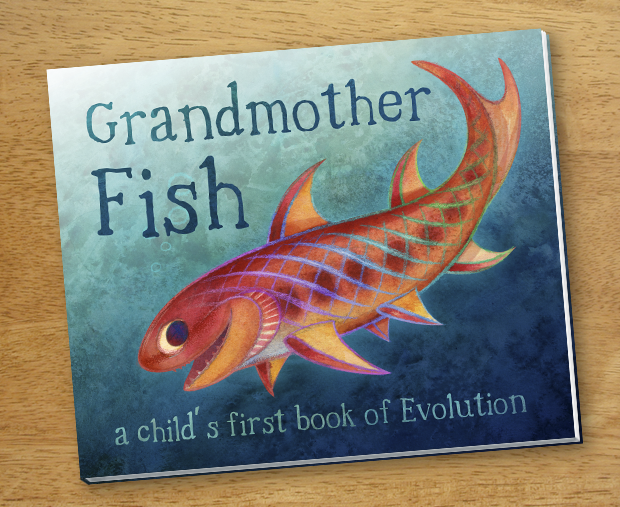 Our page includes lots of behind-the-scenes posts about evolution and the process of creating Grandmother Fish. 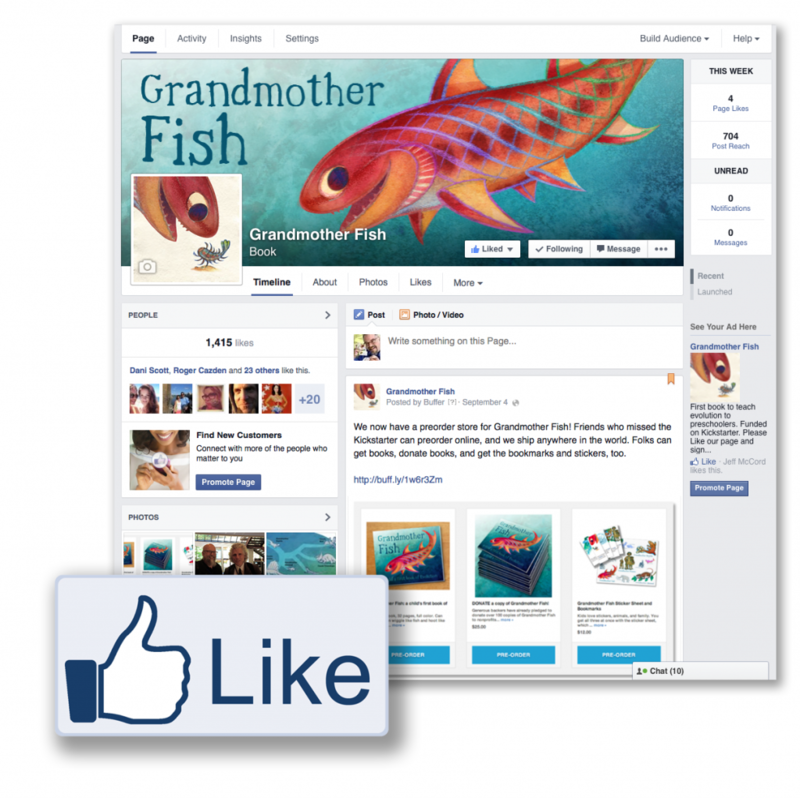 For more information about Grandmother Fish, see our About page. To see what others are saying, see our Reviews page. Thanks for your interest in Grandmother Fish! Please check out our successful Kickstarter campaign! Our Kickstarter campaign started June 23rd and we funded on the 25th. Daniel Dennett, David Sloan Wilson, Daniel Loxton, Tiffany Taylor, Monte Cook, and others got behind the campaign, and we hit the top of Kickstarter’s popularity list for publishing. As the campaign continues, we’ll gather the resources to do a better book. Our first stretch goal is to add a full-color, two-page spread that shows our evolutionary family trees with all five grandmothers and all the cousins, too. That will be our stretch goal for $20,000. The video for Kickstarter is almost done. Keith Hitchcock of Hocus Focus Media made us look really good. 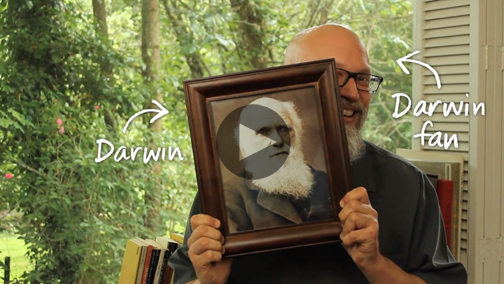 Everything came together, and we ended up with the cutest video ever for a children’s book of evolution. Click the image to see for yourself. It’s not final, but really close. The Kickstarter campaign starts June 23rd, and this video has me feeling really good about it. The story of Grandmother Fish is simplified for preschoolers, so the science notes for parents in the back have to be rigorous. Fortunately, I’m getting help from the National Center for Science Education. These people are serious about teaching evolution and climate change. Eric Meikle is helping me personally, and he recently gave me a welcome point-by-point critique of my endnotes. The next version of the draft will include updated information thanks to him. He and I spent extra time trying to get the paragraph below just right. This is the paragraph in the back that helps parents talk to their children about the “grab” motion that Grandmother Ape was good at. Talking about “feet” and “hands” gets tricky when you’re talking about primates, humans in particular. Our ancestors’ limbs have been specialized first for swimming, then crawling, and then climbing. Now our hind limbs are specialized for walking while our forelimbs are specialized for grabbing. It might sound minor, but I want to help children understand how special human feet are. Here’s the paragraph that Eric and I worked out. Lamarck is famous for being wrong about how evolution worked, but he was right about one thing: humans evolved from “four-handed” animals. Two hundred years ago, his contemporaries jeered at him for his bold claim, but today it’s time for preschoolers to learn that he was right all along. Hind feet of various primates. I’m happy to announce that we’re moving the start of the Kickstarter campaign back one week to Monday, June 23rd. Why am I “happy” about that? First of all, we’re changing the schedule so that we will have more of Karen’s art to show when we start. As proud as I am of the text in the book, people are going to judge the book by the art, and we want to get that right. Having more art to show makes me happy. Second, when I originally set the schedule, I tried for a June 1st launch, but I knew that July 1st would be more realistic. I’ve done enough creative projects over the years to know that schedules are likely to slip. For me, June 23rd is still “ahead of schedule” by a week. Here’s a new piece by Karen. It’s still rough, but you can see the life that she’s bringing to her subject matter.